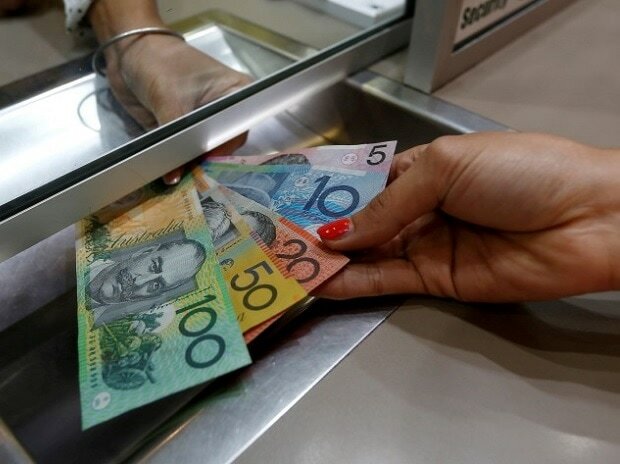 The Australian dollar nosedived on Wednesday after its central bank opened the door to a possible rate cut, in yet another indication the global slowdown is persuading policymakers to go easy on rate hikes. World stocks, too, stalled just off two-month highs, undermined by growth worries as well as US President Donald Trump’s combative State of the Union address, in which he unveiled no new policy initiatives. European shares traded marginally in the black and equity futures signalled a flat to weaker open on Wall Street. Australia’s central bank is only the latest to signal policy; the Fed has all but given up plans for further hikes, while the European Central Bank also sounded less certain that it will start tightening policy. Concerns for world growth fanned fears for global energy demand, hitting crude oil prices. Brent futures were trading around $61.59 a barrel on Wednesday. The U-turn pushed the Australian dollar 1.5 per cent lower, putting it on track for its biggest daily drop in a year. Australian short-dated bond yields were set for their biggest one-day drop in more than two years, down 10 basis points on the day. "When I look at the global economy, Germany on is on the cusp of recession, Italy is in recession, Japan in on the cusp, the Chinese economy is seeing the lowest growth in 3 decades. The Fed had a look at the picture and said the world is slowing, it is maybe appropriate to pause," said Rhys Petheram, a fund manager in the multi-asset team at Jupiter Asset Management. Wall Street finished strong on Tuesday and is now some 16 per cent off December lows but sentiment was knocked by the U.S.
president's failure in his annual speech to unveil new infrastructure plans. Futures indicated a weaker open on U.S. stocks with the S&P and Nasdaq both down 0.1 per cent. Shares in BNP Paribas and carmaker Daimler slumped one per cent and three per cent respectively, ending the market's six-day rally. French-listed BNP Paribas lowered its profit and revenue growth targets for 2020 while Daimler's profits were hit by trade war and ballooning costs for developing electric and self-driving cars Germany's DAX index lost 0.5 per cent. Investors will also be looking to the European Commission's winter macroeconomic forecasts, due to be published Wednesday or Thursday. Large downward revisions to growth and inflation are likely, many analysts predict. The appetite for bonds also was evident in the 33 billion euros worth of orders investors had placed for Italy's new 30-year bond by 1115 GMT.